Nestled in the eastern foothills of the Napa Valley, Howell Mountain School serves 90+ students in transitional kindergarten through the eighth grade. 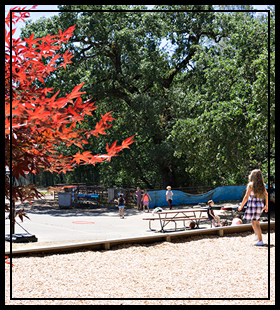 With the help of our wonderfully supportive community, we have served the children of Angwin for over 125 years. A lot has changed in this time, but our commitment to providing an exceptional education remains steadfast. Howell Mountain Elementary School District provides an environment where all students, staff, and parents are given the opportunity to reach their potential. We aim to ensure that all students meet or exceed grade-level standards as well as develop self-worth and social responsibility within a safe, healthy, and nurturing school environment that requires students to think, solve problems, and be creative. We will achieve this through a comprehensive support system, professional collaboration, and strong values of teaching every child.